Med Group personnel who will help you with practice start- up will have backgrounds as a Certified Public Accountant, Certified Healthcare Billing and Management Executive, Real Estate Broker, Certified Coder and many years of experience in all phases of managing physician practices. Fees for the work can be substantially reduced (MAYBE EVEN ELIMINATED) if you hire us to handle the location of space as a Real Estate Broker. WE WILL OFFSET OUT PRACTICE MANAGEMENT FEES BY A SUBSTANTIAL PORTION OF ANY REAL ESTATE BROKERAGE COMMISSIONS RECEIVED TO REPRESENT YOU. THIS IS PAID BY THE LESSOR OF THE SPACE AND COSTS YOU NOTHING). Be sure to contact us BEFORE you start looking at space and definitely before you commit to a lease. Med Group can handle any or all of the above. Depending upon the Physicians time available, he or she may want to handle portions of these chores to minimize cost. New personal frequently can handle some of these start-up items. 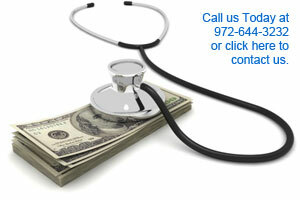 We will work with you to effectively start your practice and keep start-up cost to a minimum. an HBMA Member. Click here! Med Group Billings, Inc.